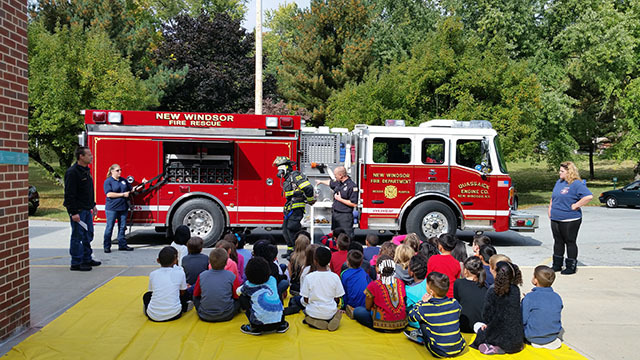 The New Windsor Fire Department led by Fire Chief Al Padilla and Assistant Chief Peter Sallemi, visited New Windsor School to teach students about fire safety. 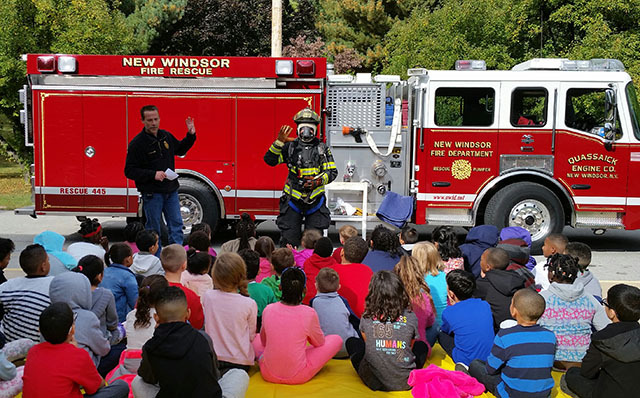 Students in grades K-3 had an opportunity to visit the fire truck and learn about the various equipment used to combat fires. Students in grades 4 and 5 were treated to an assembly style presentation. 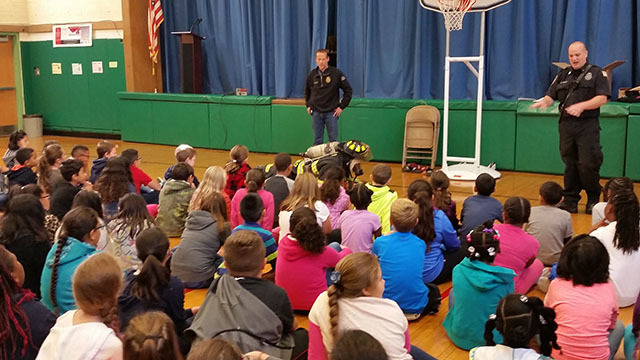 The students learned about the importance of maintaining smoke alarms functioning correctly and other pertinent fire safety related matters. Overall, the students and staff had a productive learning experience with the New Windsor Fire Department.